Ready to Start Your Scheduled Demo or Training? 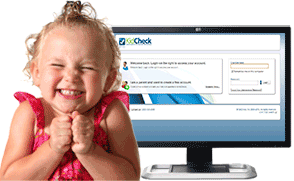 KidCheck utilizes AnyDesk for live online demos and trainings. This allows you to view our screen as we talk with you over the phone. This enables us to show you the features that you’re most interested in and also answer any questions you might have. At no time can we view your system without your consent. If you don’t have a scheduled meeting, but would like one, you may request a demo here.